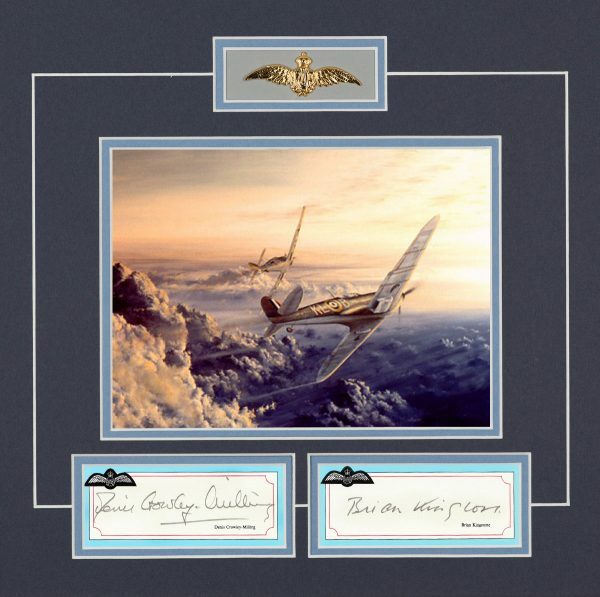 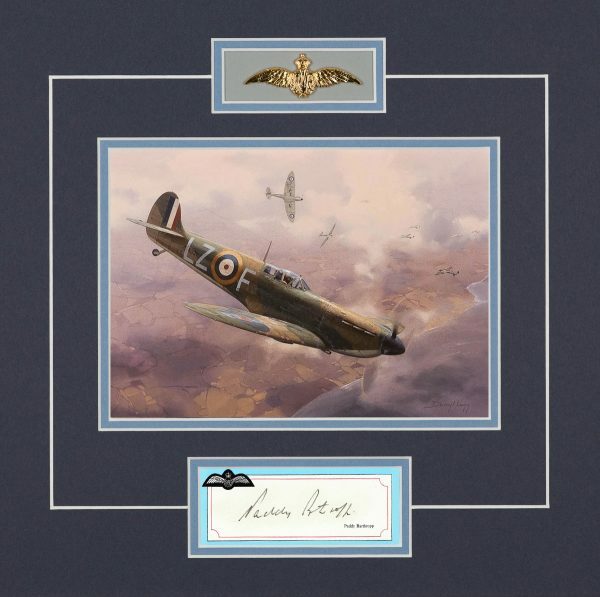 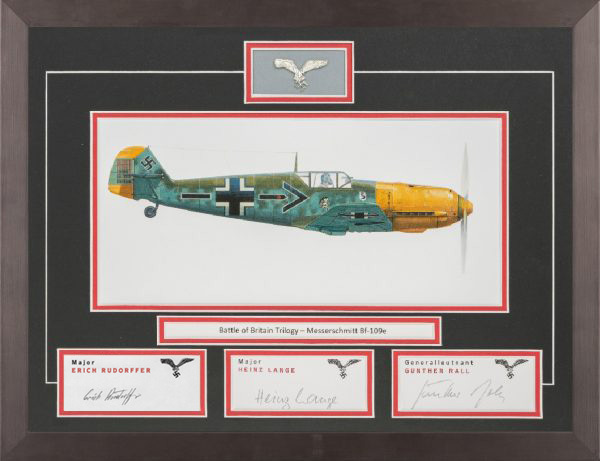 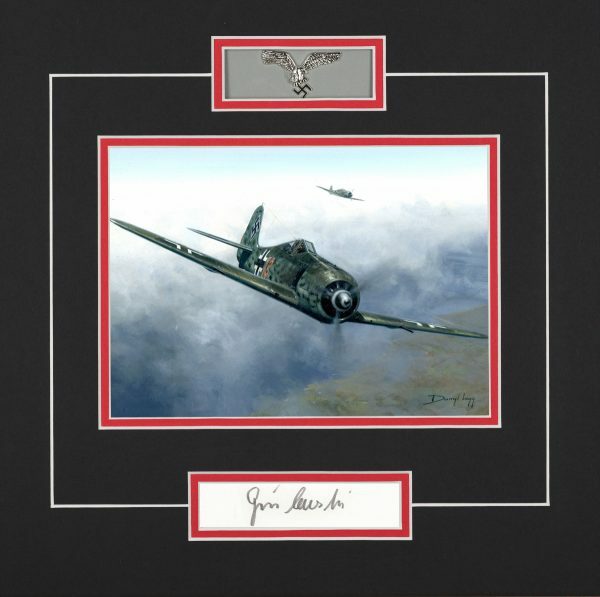 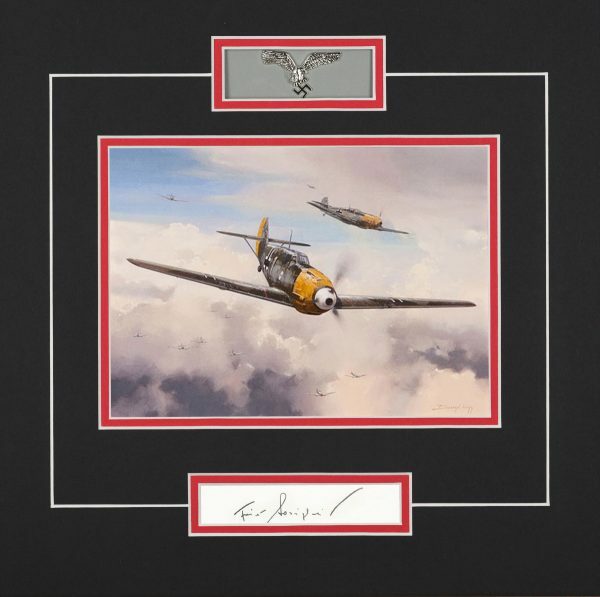 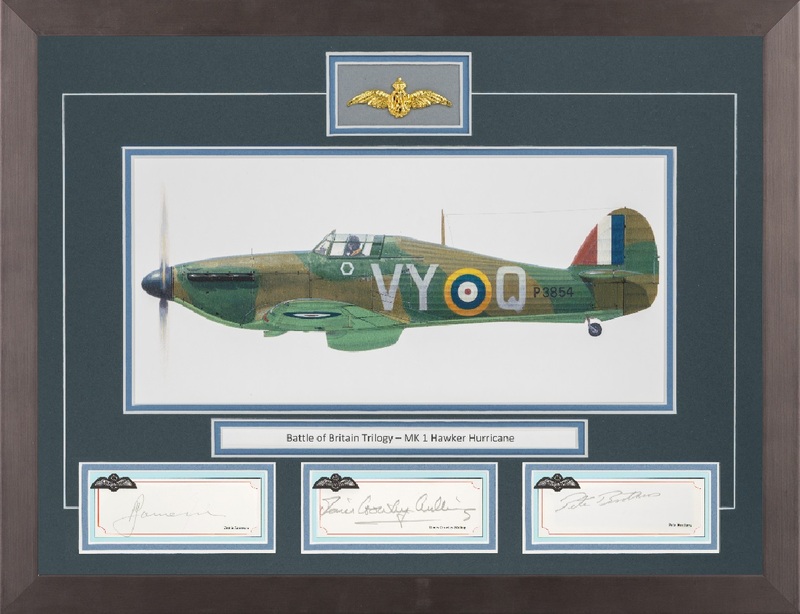 Rare, highly sought-after genuine signatures of highly decorated Fighter Pilots and Bomber Aircrews from World War Two. 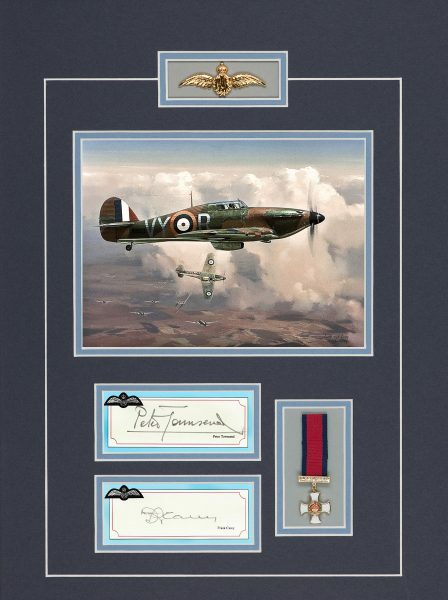 fine art, all-metal pilots wings finished in gold or silver gilt and with high-end editions containing miniature gallantry medals. 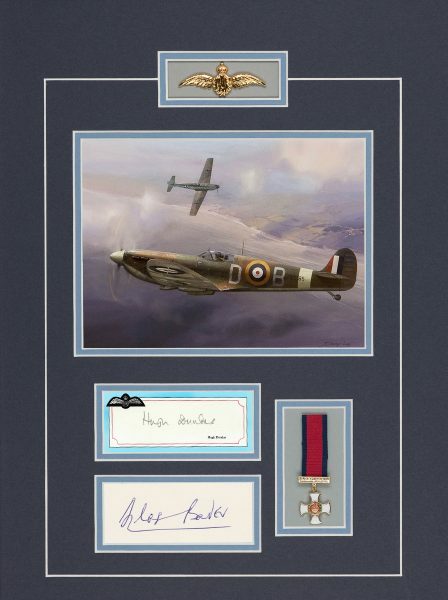 Supplied Mounted, ready-to-frame or Framed for display. 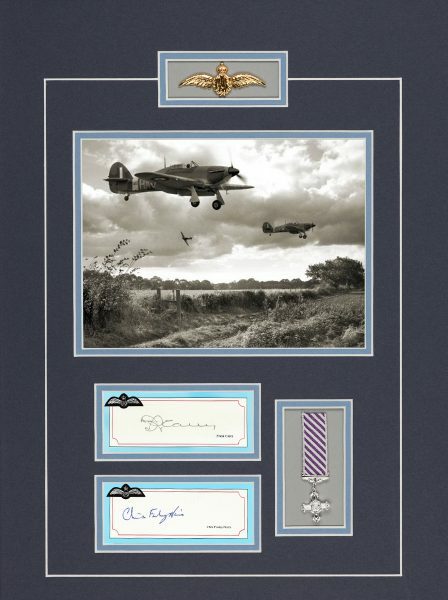 of a superb quality Brushed Silver or Brushed Gun-Metal Grey metallic frame. 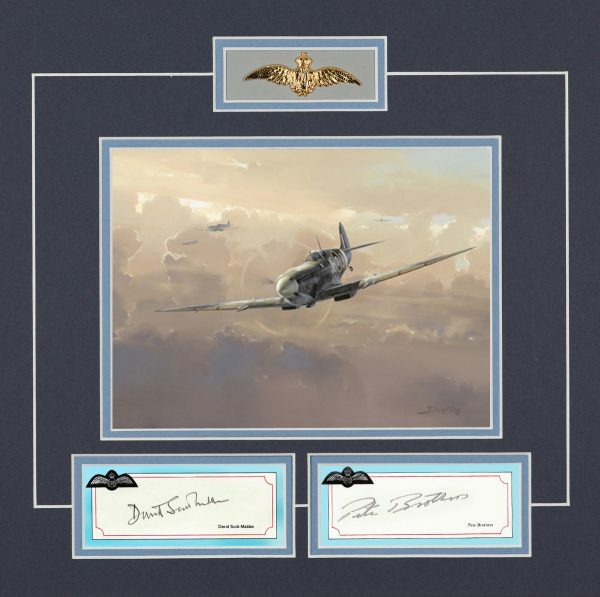 An expanding series with new editions planned for release during the year. 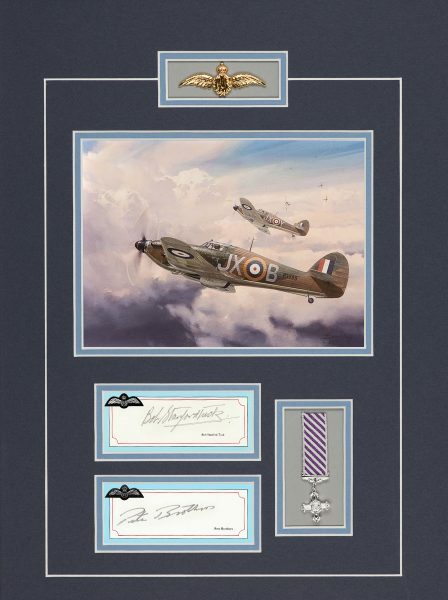 A brand new series of highly collectable "Displays" incorporating rare and original signatures of historic Aviators from World War 2. 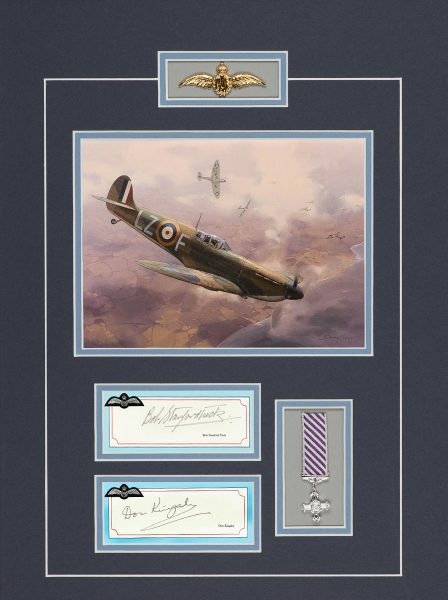 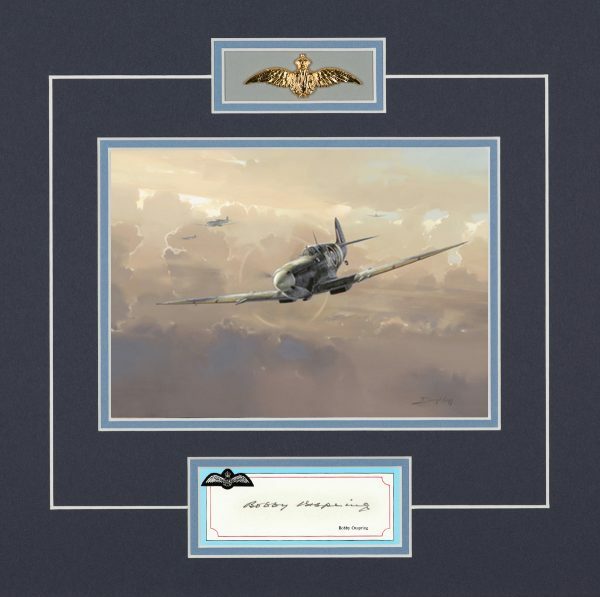 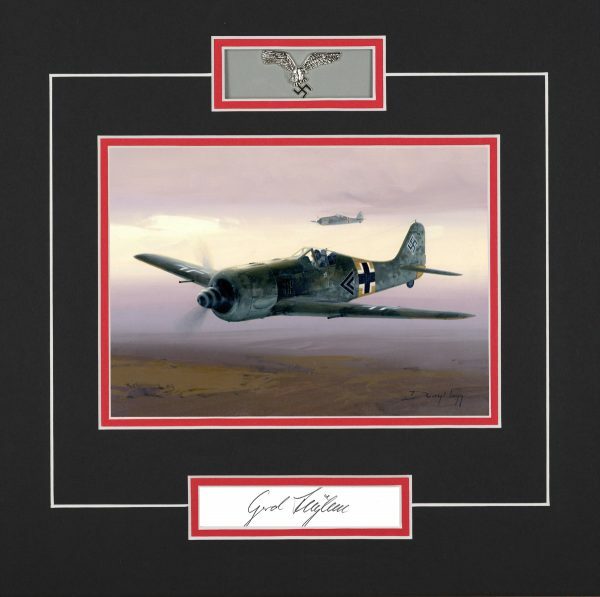 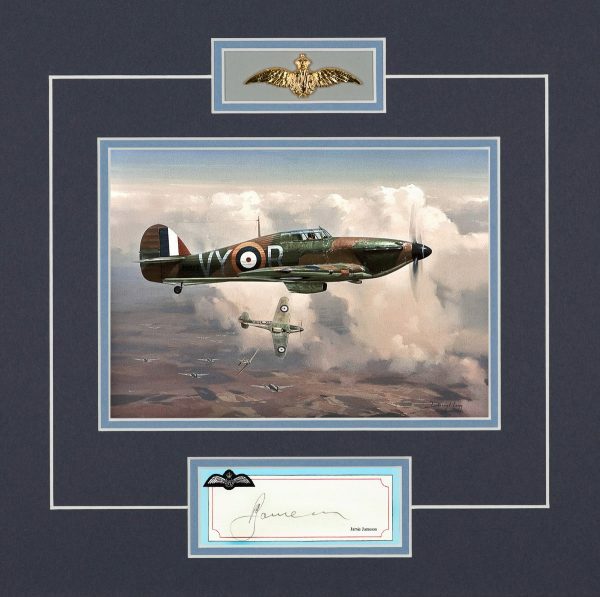 Professionally mounted with a print depicting aircraft types flown by the signatories. Various mount & Frame options. 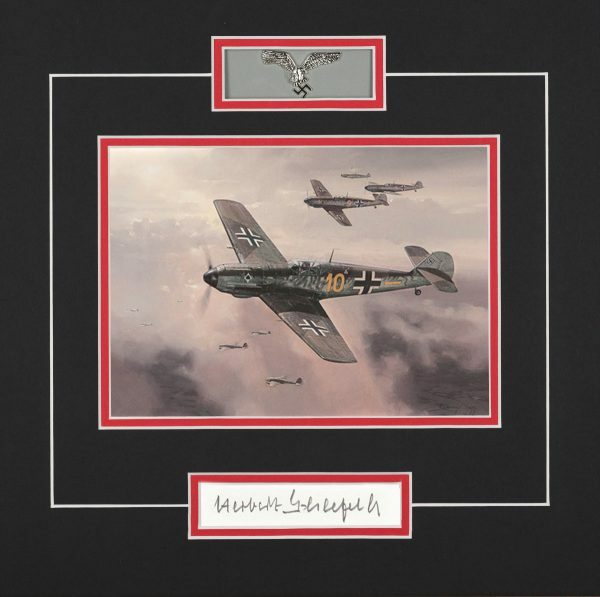 Bf 110's at first light over the Eastern Front as they prepare for an early morning strike against Russian targets.